The grammatical category associated with comparison of adjectives and adverbs is degree of comparison. The usual degrees of comparison are the positive, which simply denotes a property (as with the English words big and fully); the comparative, which indicates greater degree (as bigger and more fully); and the superlative, which indicates greatest degree (as biggest and most fully). Some languages have forms indicating a very large degree of a particular quality (called elative in Semitic linguistics). Other languages (e.g. English) can express lesser degree, e.g. beautiful, less beautiful, least beautiful. This system is most commonly used with words of French or Latin derivation; with adjectives and adverbs formed with suffixes other than -ly (e.g., "beautiful"); and with longer, technical, or infrequently used words. In Russian, comparative and superlative forms are usually formed with a suffix - добрый (kind), добрее (kinder), добрейший (kindest). In Bulgarian, comparative and superlative forms are formed with the clitics по- (more) and най- (most): голям (big), по-голям (bigger), най-голям (biggest). French: The superlative is created from the comparative by inserting the definitive article (la, le, or les), or the possessive article (mon, ton, son, etc. ), before "plus" or "moins" and the adjective determining the noun. For instance: Elle est la plus belle femme → (she is the most beautiful woman); Cette ville est la moins chère de France → (this town is the least expensive in France); C'est sa plus belle robe → (It is her most beautiful dress). It can also be created with the suffixe "-issime" but only with certain words, for example: "C'est un homme richissime" → (That is the most rich man). Its use is often rare and ironic. Spanish: The comparative superlative, like in French, has the definite article (such as "las" or "el"), or the possessive article ("tus," "nuestra," "su," etc. ), followed by the comparative ("más" or "menos"), so that "el meñique es el dedo más pequeño" or "el meñique es el más pequeño de los dedos" is "the pinky is the smallest finger." Irregular comparatives are "mejor" for "bueno" and "peor" for "malo," which can be used as comparative superlatives also by adding the definite article or possessive article, so that "nuestro peor error fue casarnos" is "our worst mistake was to get married." The absolute superlative is normally formed by modifying the adjective by adding -ísimo, -ísima, -ísimos or -ísimas, depending on the gender or number. Thus, "¡Los chihuahuas son perros pequeñísimos!" is "Chihuahuas are such tiny dogs!" Some irregular superlatives are "máximo" for "grande," "pésimo" for "malo," "ínfimo" for "bajo," "óptimo" for "bueno," "acérrimo" for "acre," "paupérrimo" for "pobre," "celebérrimo" for "célebre." There is a difference between comparative superlative and absolute superlative: Ella es la más bella → (she is the most beautiful); Ella es bellísima → (she is extremely beautiful). "Acre" (acer in Latin) which means acrid, becomes "acérrimo"/"acerrimo" ("acerrimus" in Latin). "Magro" ("thin" in Portuguese) becomes "magérrimo." Italian simile (similis in Latin) which means "similar," becomes (in ancient Italian) "simillimo" ("simillimus" in Latin). Portuguese difícil ("hard/difficult") and fácil (facile). Romanian, similar to Portuguese and Italian, distinguishes comparative and absolute superlatives. The comparative uses the word "mai" before the adjective, which operates like "more" or "-er" in English. For example: luminos → bright, mai luminos → brighter. To weaken the adjective, the word "puțin" (little) is added between "mai" and the adjective, for example mai puțin luminos → less bright. For absolute superlatives, the gender-dependent determinant "cel" precedes "mai," conjugated as "cel / cei" for male singular / plural and "cea / cele" for female singular / plural. For example: cea mai luminoasă stea → the brightest star; cele mai frumoase fete → the most beautiful girls; cel mai mic morcov → the smallest carrot. The term "7 and 7" means 'over and over'. 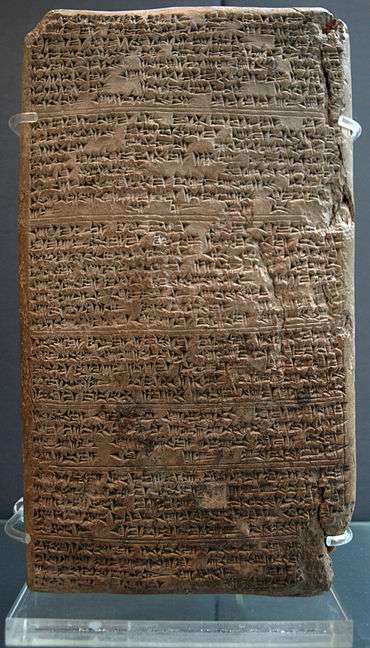 The phrase itself is a superlative, but an addition to some of the Amarna letters adds "more" at the end of the phrase (EA 283, Oh to see the King-(pharaoh): "... I fall at the feet of the king, my lord. I fall at the feet of the king, my lord, 7 and 7 times more, ....". :323–324 The word 'more' is Akkadian mila, and by Moran is 'more' or 'overflowing'. The meaning in its letter context is "...over and over again, overflowing," (as 'gushingly', or 'obsequiously', as an underling of the king). In Estonian superlative form can usually made up in two ways. One is constructed with words "kõige" + comparative form. It can be made with all adjectives. For example: "sinine" (blue) comparative form is "sinisem" and therefore superlative form is "kõige sinisem." The short superlative form is made up by adding "-m" to the end of plural partitive case. Plural partitive from the word "sinine" (blue) is "siniseid" and therefore "siniseim" is short superlative. Short superlative cannot be made up with all adjectives and in difference of the "kõige"-form, it has a lot of exceptions. 1 2 Trenga, Bonnie (12 August 2008). "Comparatives Versus Superlatives". Grammar Girl. Quick and Dirty Tips. ↑ Kytö, Merja; Romaine, Suzanne (21 June 2013). "Competing forms of adjective comparison in modern English: What could be more quicker and easier and more effective? ".